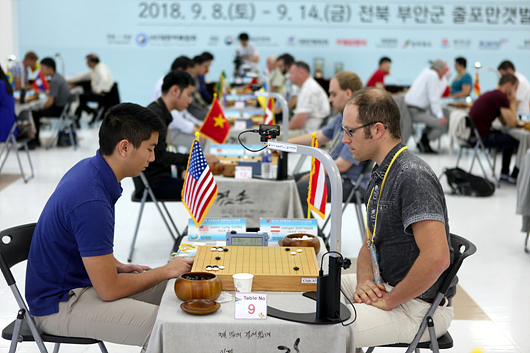 Europe and America are competing each other with Baduk. This event is being held from April 7th to June 23th. Transatlantic Professional Go Team Championship that Total 10 players(5 players of each) are attending is a wnning streaks and all of the professional players in European Go Federation and American Go Association. In Europe, llya Shikshin from Russia 3P and Pavol Lisy from Slovakia, Artem Kachanovskyi from Ukraine and Mateusz Surma from Poland and Ali Jabarin from Israel are going to attend this event. In America, Andy Liu 1P, William Gansheng Shi, Calvin Sun, Ryan Li and Eri Lui 1P are attending the event. On Every Sunday(except April 28th, May 12th, 19th) at 2p.m(3a.m in korea), all of baduk is starting on the KGS server and will be broadcast lived on Yutube and Twitch.